Did you know that you can favorite things on LoveKnitting? Learn how to build a wish list of products and Projects that you can go back to for some “yarnspiration” whenever you want. If you really love something on LoveKnitting, you can now add it to your favorites list. When you add something to your list, it is saved there so you can go back and look at it later. Need some help to get started? No problem – here’s our step by step guide. 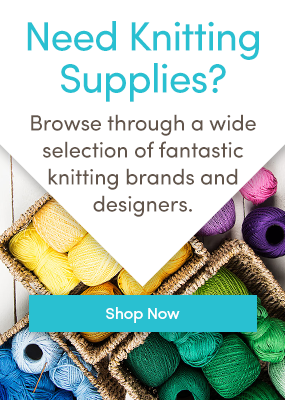 If you don’t already have a LoveKnitting account, you will need to create one with an email address and a password, or by signing in with your Facebook account. Once you sign in, you’ll be able to see all of your account details: past orders, favorites, and more. I love this Debbie Bliss Rialto DK yarn, and I want to use it for a future project I have in mind. Just in case I forget, I’m going to add it to my favorites list – that way I can come back to it later. Have you seen the awesome Projects section of the site, where you can share your makes with fellow crafters? If you want to learn more about how to upload a make to Projects, click here to check out our tutorial. I was looking at this Forest Friends headband, designed by Louise Walker. (Did I mention that it’s a free pattern collection?) As you can see on the right, Lizz A made this headband. Because I love it so much, I want to see what else Lizz A makes, so I clicked to follow her. After I followed Lizz A, I wanted to add the project to my favorites, so I can find the pattern easily when I have time to make this headband. I’m thinking stocking stuffers next Christmas! You can find it by clicking on the arrow next to your name on the top right hand side of the page. In that menu, you can see any Projects that you have uploaded, your profile, your account details, and your favorites list. Do you like to favorite things on LoveKnitting? What have you favorited? Love tips, tricks, and tutorials? Follow LoveKnitting on Bloglovin’ so you never miss a post. Last updated: May 30th, 2016. Fabulous! I see patterns that I love, move on, and then can’t remember which pattern it was! Thank you!! I like doing this on the different yarns but wish I could add a note saying what project I thought I would use it for.